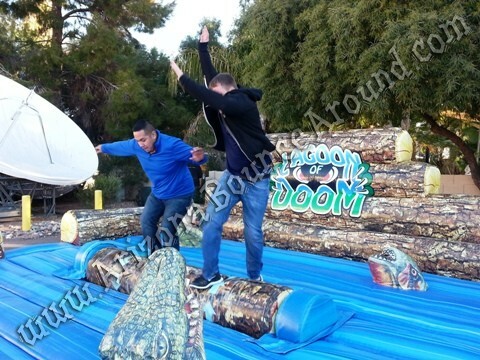 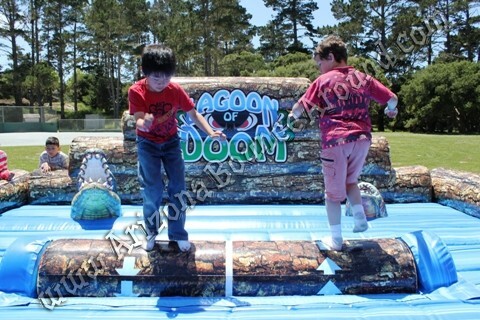 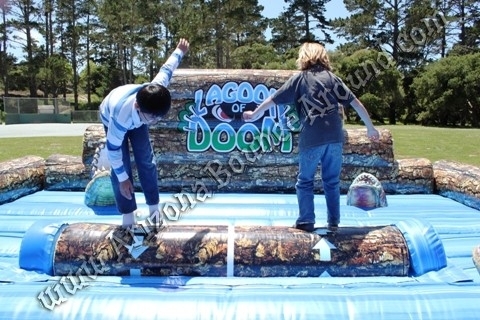 Our new Lagoon of Doom log rolling game features a motorized rolling log controlled by our included staff to create an amazing interactive game perfect for team building or competitions. 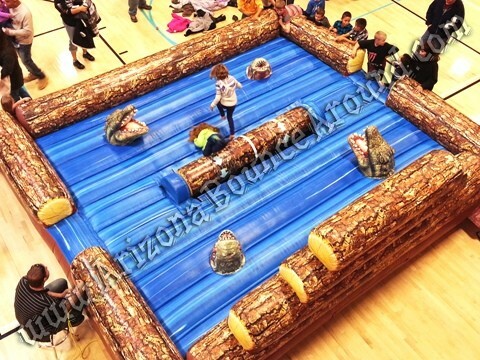 The inflatable mattress has alligator heads and man eating fish looking up at you as you try to stay on the rolling log the longest. 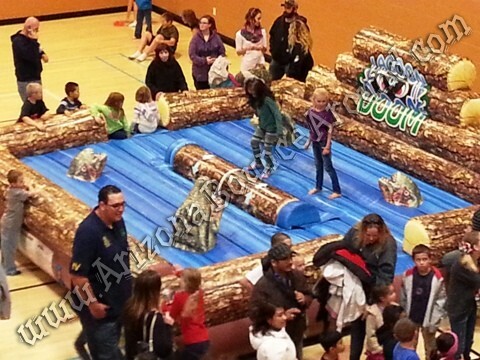 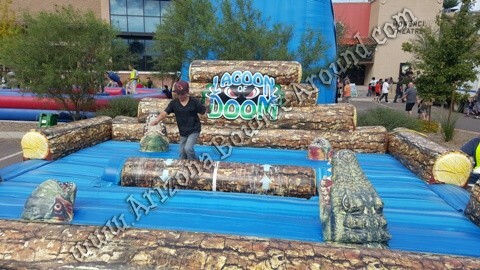 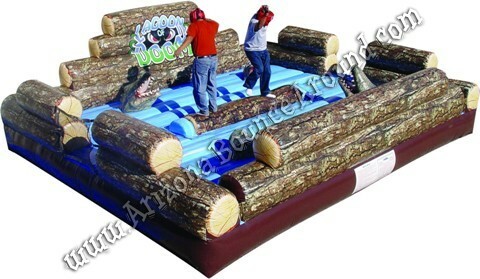 Log rolling compititions are a serious sport and we have the only motorized log rolling inflatable game in Arizona. 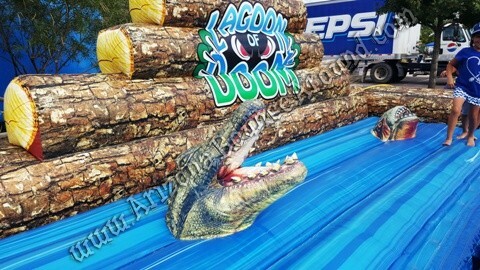 Other Lagoon of Doom games have a free wheeling log that no one can stand on for more than a few seconds but not here at ABA. 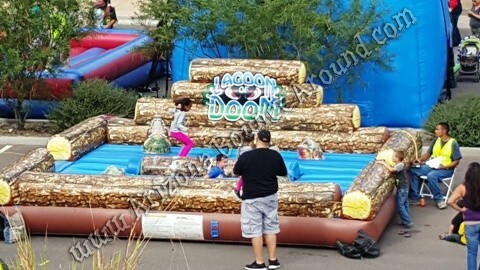 We control the speed of the log and it will not free spin around. 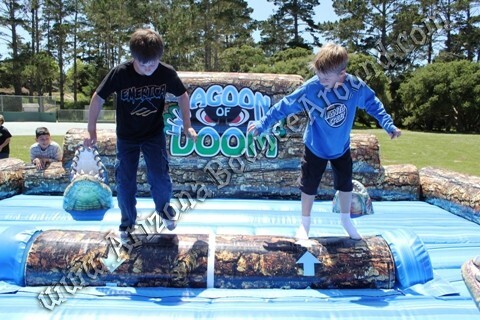 This log rolling game is perfect for kids or adults and will make your party or event a big hit. 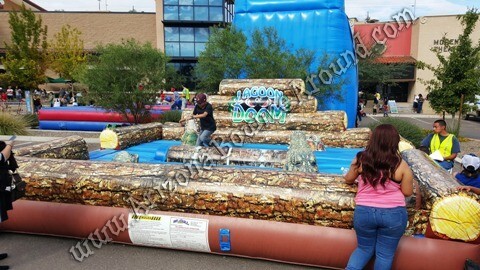 This game is in stock ready to rent so call, click or come by today.